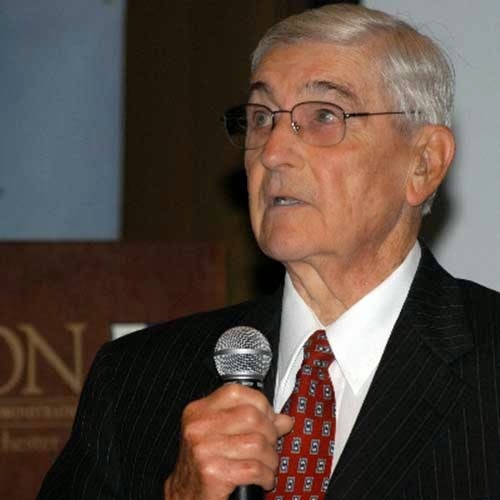 Remembering James N. Doyle Sr. 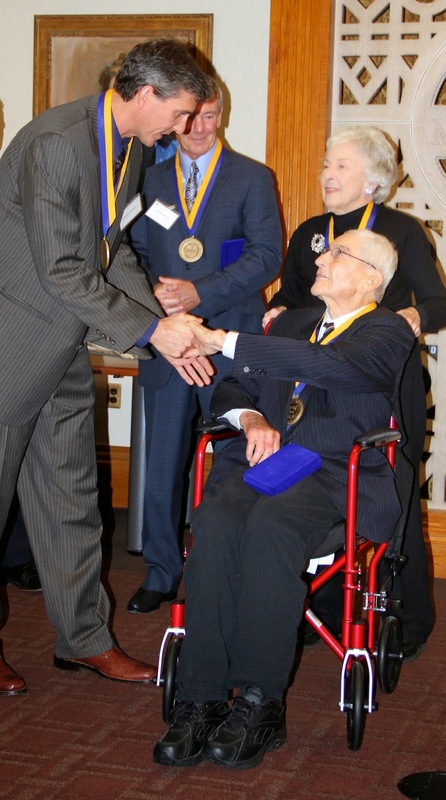 The celebrated mentor educated and inspired Simon students for generations. The Simon Business School community is mourning the loss of a beloved faculty member. James N. Doyle Sr. passed away on Sunday, March 22, 2015, at age 92. A native of Galesburg, Illinois, Professor Doyle was a graduate of Knox College. He earned an MBA with a specialty in market research from Northwestern University. He began his career with Armour Toiletries, then went on to a senior-level marketing position at A.T. Kearney International, and later, president of Watkins Products Inc. and Sarah Coventry International. His passion for entrepreneurship led him to co-found and direct R.A. Schoeneberger & Associates Ltd., a management consulting firm. In 1981, Professor Doyle retired and began his second phase as a mentor and educator. He joined the Simon faculty in 1993 as executive professor of business administration and helped build the Entrepreneurship concentration. He lectured in marketing, general management, and entrepreneurship. During his 15 years at Simon, he led the Kauffman Entrepreneurial Internship Program, pairing second-year MBA students with local start-ups. "Jim was a great mentor to me in my role as Simon's area coordinator for entrepreneurship," says Duncan Moore, vice provost for entrepreneurship. "His leadership in obtaining the first Kauffman Foundation grant helped the University of Rochester win the major designation as a Kauffman campus in 2004." Doyle retired from Simon in 2008. Professor Doyle is survived by his wife, Alice (Allie), three sons, James Jr., Stephen, and Michael, and their families.